Go high performance-without going over the tip in price! 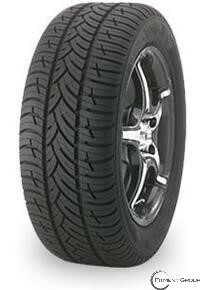 Fusion HRi tires let you show off one slick-looking set of asymmetrical tread. But these beuties know how to deliver strong traction, wet or dry. That's because the Fuzion HRi tires give you the works in advanced technologies - including UNI-T technology.